This article explains what a Smart Meter is, how it works, how they’re installed and their benefits. More accurate billing - you’ll only be charged for energy you’ve used. Real-time energy usage data - to help you identify ways to reduce your energy spend. Smart Meter (one for gas and on for electricity) - takes readings of your energy usage. Communications hub - sends these readings to your energy supplier. Smart Meter energy monitor - displays your real-time energy usage so you can monitor it. Request a Smart Meter from your energy supplier. On this date, an engineer will fit your meter. Installation typically takes about an hour per meter. Your Smart Meters will need to be installed in the same location as your existing meters, so you’ll need to clear this area before your installation appointment. Your bills will be more accurate. You can reduce your energy usage by identifying times of high energy usage. Your supplier will be able to give you more personal energy saving advice. Technically, no. While there is no direct, upfront cost to you, smart meters are not free. The installation costs that suppliers incur from installing smart meters are recovered through a slight increase to the price of your energy bills. Ofgem predict that this cost will only amount to roughly £100 a year, and the money that you’re likely to save due to more accurate billing should cover this cost. 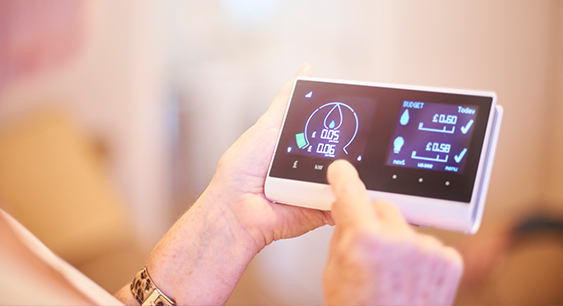 By 2020, the cost of smart meters will be entirely paid off, leaving you to benefit from more accurate billing and lower energy costs as a result. Smart Meters send readings to your supplier automatically. You can view these readings from your smart energy monitor. Each model of a smart energy monitor functions slightly differently, so you should consult your user guide for further information.